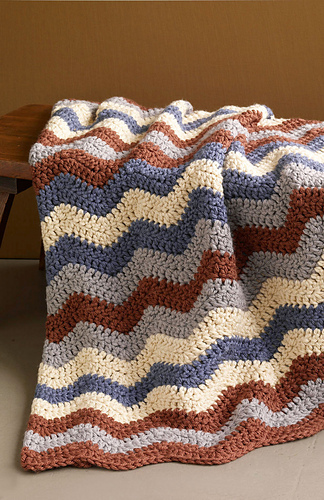 See 90417AD Smoky Mountain Ripple Afghan for a slightly different (revised) color sequence. 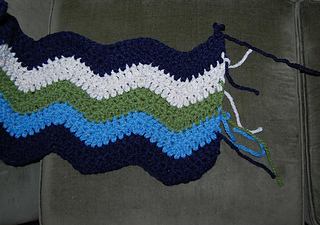 Work two rows of each color in pattern color sequence for 34 rows. Fasten off and weave in ends to finish. See 90299AD Clockhouse Ripple Afghan for a larger version.